It's easy to get caught up with the top-of-the-line Android devices, but there is also a thriving market for budget handsets. The Alcatel One Touch Shockwave is such a device, but it's not without appeal. The Shockwave, as its name suggests, is built to withstand being knocked around a bit. 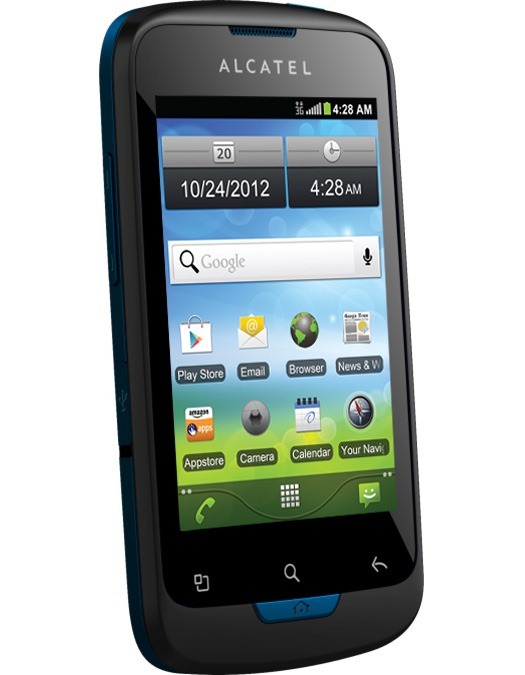 The Shockwave has a shock-resistant casing, Dragontrail tempered glass, and water-resistant seals. It's a smaller device with a 3.5-inch screen and rounded corners. The specs are definitely toward the low end with a 3.2MP camera, single-core 800MHz processor, Wi-Fi, and Bluetooth. That small touchscreen is also sitting at HVGA (480×320) resolution. On the software side, this device is shipping with Android 2.3 Gingerbread. Don't expect any updates on this one. 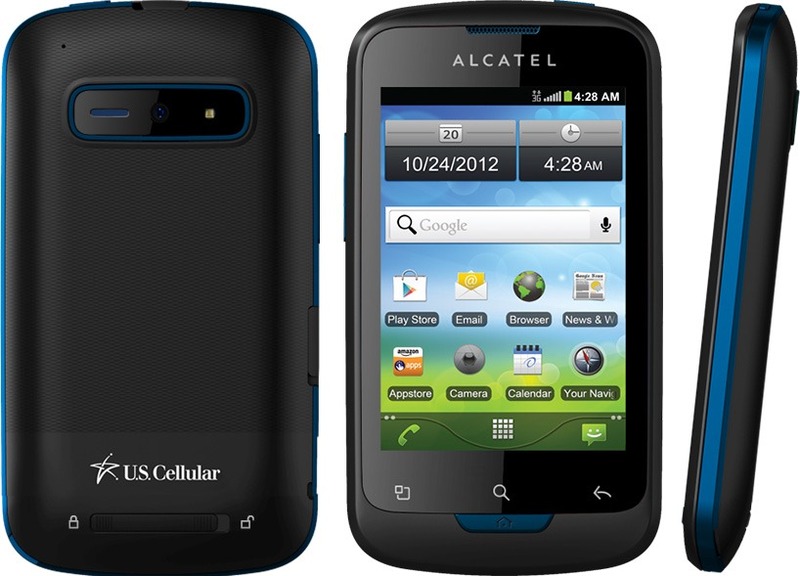 IRVINE, Calif., —October 23, 2012— ALCATEL ONE TOUCH today announced the availability of the ONE TOUCH Shockwave™, the perfect device for consumers seeking a durable smartphone that provides dependable connectivity to social networking and easy access to multimedia. With built-in durability features including shock resistant casing, super tough Dragontrail™ tempered glass and water resistant housing, the device provides protection without the added bulk of a case. The phone is currently available through U.S. Cellular online and in stores starting October 23 for $49.99 with a smartphone compatible plan. The ONE TOUCH Shockwave™ comes equipped with productivity apps, advanced email, texting and IM as well as popular social networking and music apps. It features an integrated Traffic Manager that monitors data and calling usage, warning the user when they are approaching their monthly limits. The ONE TOUCH Shockwave™ operates on the Android2.3 platform, is Wi-Fi enabled and has an 800MHz processor, 3.5” HVGA capacitive touchscreen display, and a 3.2 megapixel camera. The phone’s anti-slip finishes and materials are scratch and ding resistant, while the sealed housing design and rubber port covers resist dirt and water intrusion. ALCATEL ONE TOUCH® designs, develops, and markets globally a growing range of mobile and internet products designed to be as individual as the people who use them. One of the fastest growing of the world’s top ten mobile phone manufacturers, ALCATEL ONE TOUCH makes access to today’s mobile lifestyle simple by offering colorful, easy-to-use devices equipped with the technology people need most at prices they can afford. ALCATEL ONE TOUCH is a brand of TCL Communication, a public company listed on the Hong Kong Stock Exchange (2618.HK) and part of TCL Corporation one of the largest consumer electronics companies in the world. For more information, please visitwww.alcatelonetouch.com. To keep up to date with ALCATEL ONE TOUCH North America, like us on Facebook:www.facebook.com/alcatelonetouchusa or follow us on Twitter: www.twitter.com/alcatel1touch.